It was just another family day last Sunday. We did our usual ritual, go to mass, do grocery and eat out. 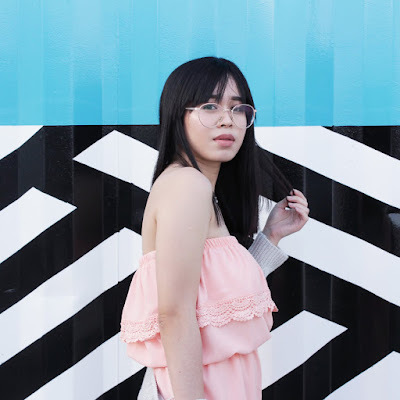 Last sunday, was quite different. My brother needed to be dropped off at SM City Santa Rosa. My parents decided to do grocery there instead. We finished mass passed 11 and got to SM at around 12pm. We were hungry! My dad originally planned to eat at our usually restaurant of choice in SM, but he got caught by the newly opened restaurant just beside Flavours of China. 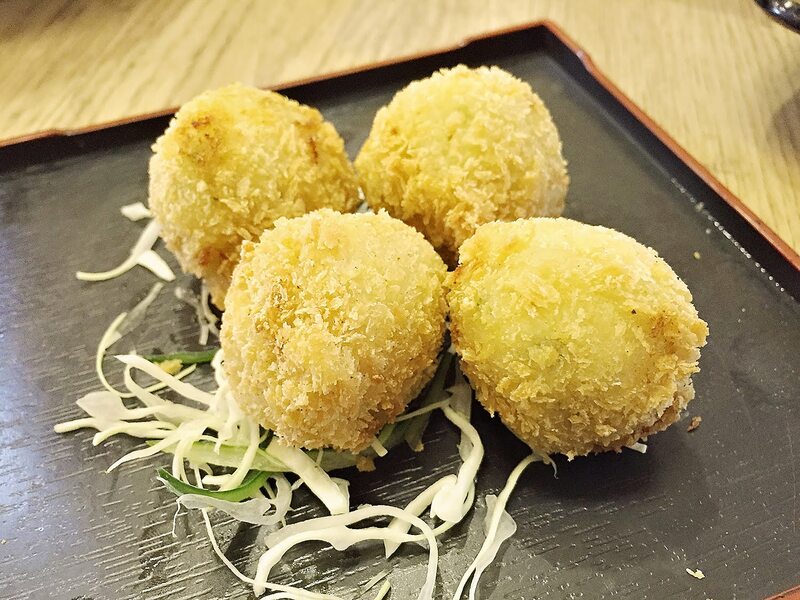 Oishi Batchoi opened it’s restaurant last June 21. 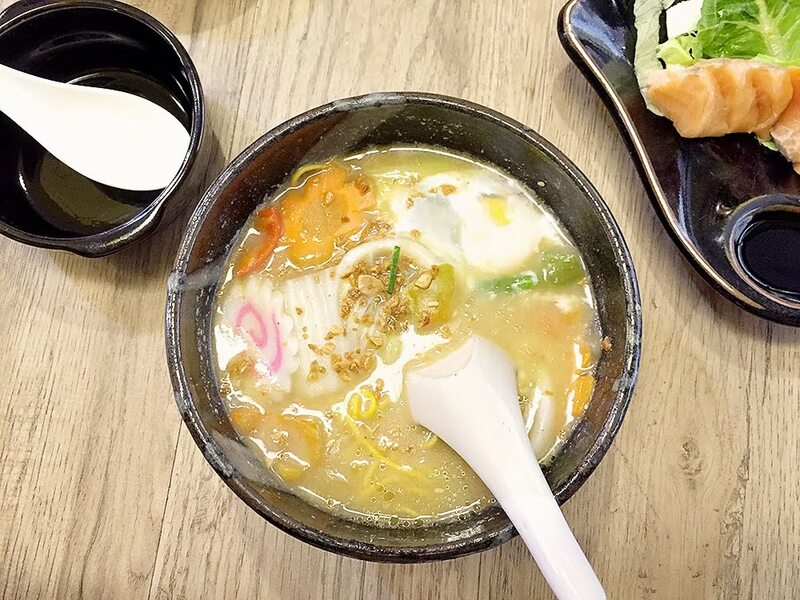 Oishi Batchoi is a new concept of Restaurant that specialises in well-loved Filipino Batchoy with a Japanese Twist! Chef Benjie-San who used to work in Japan for more than 20 years as an executive chef, is the creator of Oishi Batchoi. He experimented the Pinoy Noodle Batchoy by adding Miso and used Ramen instead of Miki, came the birth of Oishi Batchoi. Here is what's available in their menu. 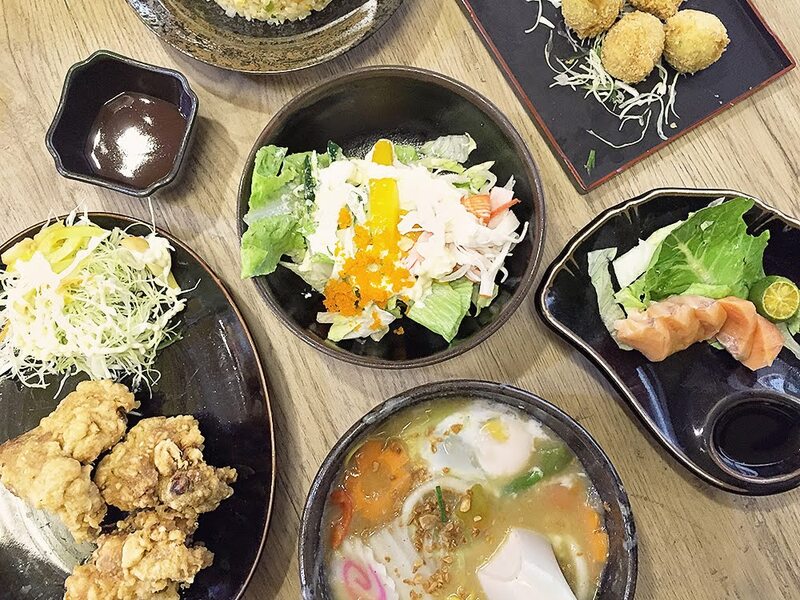 We also ordered 3 pcs of Chicken Platter (Php 145 | 5 pcs for Php 245), Japanese style fried rice Gomoku Chahan (Php 120) and Kani Salad (Php 110). I’m not a food expert or anything, but I am a normal human who can tell whether the food served in a place is ‘edible’ (lol) or good. 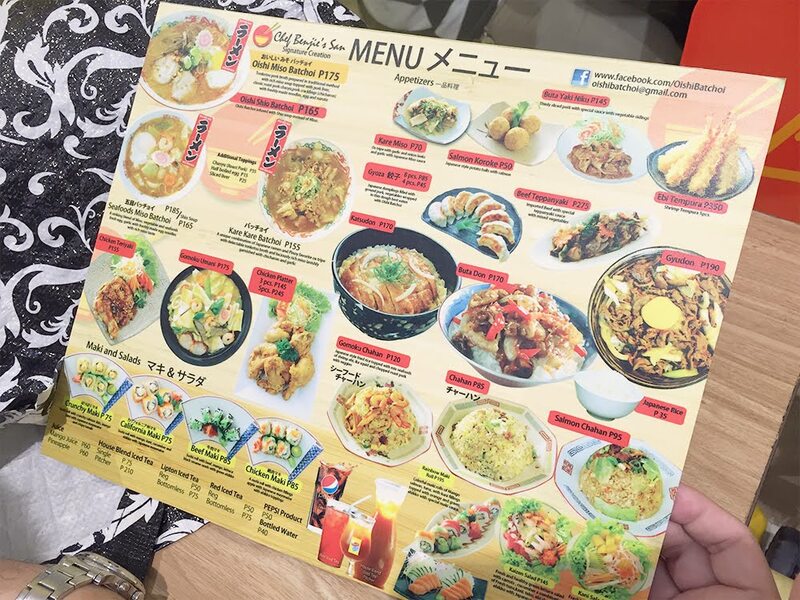 And personally, I love the sashimi and the salmon potato ball one (it’s only for 50 pesos! I could go there and have a lot or maybe just one set of it, for when I’m totally broke)... everything was yummy! Oishi Batchoi didn’t disappoint! I didn’t plan to blog anything that day, but good thing I took pictures because the food here tastes great. Plus! They served the food unbelievably fast. 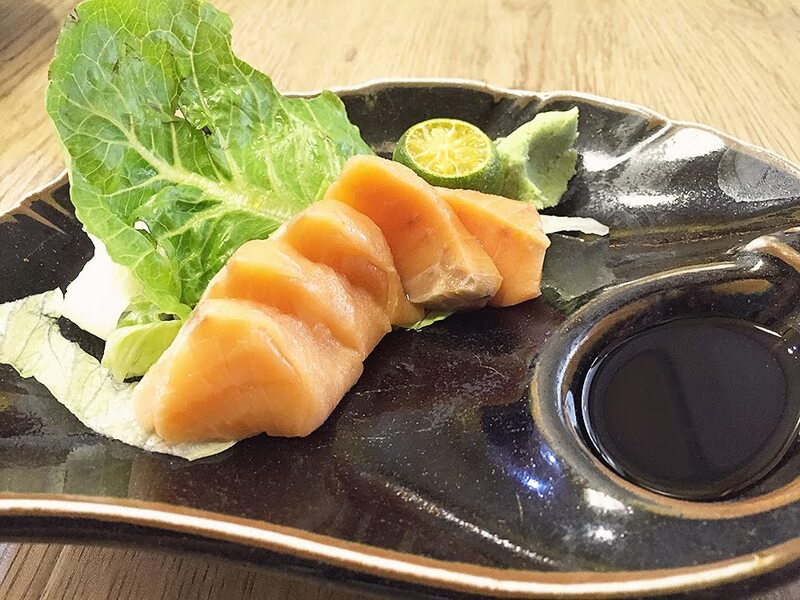 I was just taking a photo of my sashimi when my dad’s Seafood Miso Batchoi came in, I tried to set up two of the meal for a flatflay photo when suddenly our other orders came in one by one. That explains the flatflay! Hahaha. I was amazed. 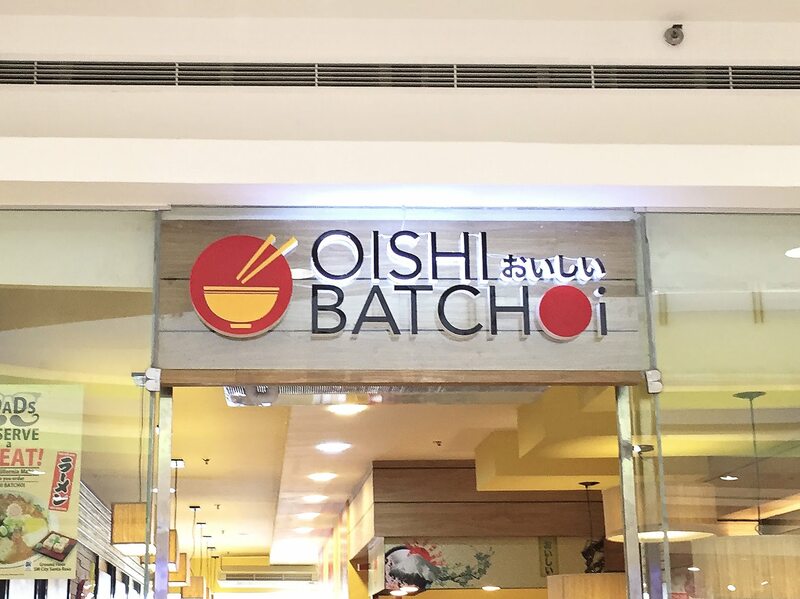 Oishi Batchoi’s first branch is located in Tagaytay.